Tech-Life Extreme Makeovers For Your Apples! Extreme Makeovers For Your Apples! Good morning guys! Yes! Yes! Nowadays everything can be makeover-ed. We've customised our clothes and cars; sometimes people who pursue fountain of youth even went under the knife to extremely makeover their face (ouch!). Now, it's time for our electronic gadgets to be given the makeover treatment. That means a face lift for your iPhone or You Macbooks. Is it necessary? YES. If you want to stand out amongst millions of others iPhone and Macbooks owner. These makeover will not only make your gadget more personalized, it could even be a fashion statement for you! 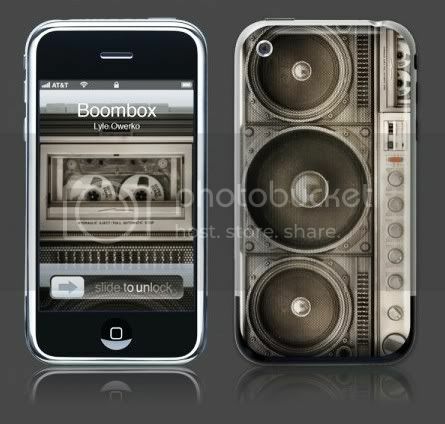 iPhone Slap-on Skins. Cool isn't it! Unlike other skins, skins from GelaSkins are removable! Yes, they are not those skins that are tattooed to your iPhone and take painful time to remove. 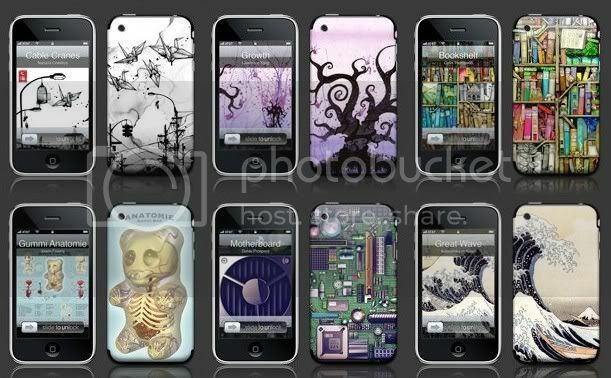 These slap-on skins is an easy way to add style to any standard-issue iPod or laptop. 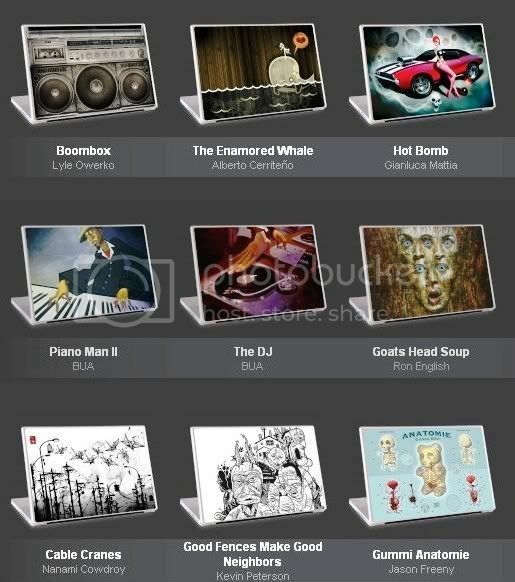 You can now own these removable "skins" with artist-designed images, made of special vinyl that prevent air bubbles. That means that different skins can be used to match your mood and attire. Now that's really cool! It's time to pamper your iPhone and MacBook a little. Give them some "clothes" to put on. make them feel treasured by you. Hmm...that sounds a little lebih-lebih (too much). Anyway if you guys really got "enchanted" by these cool skins and can't find it anywhere else, you can buy it online at their website: www.gelaskins.com! Now I don't think Malaysian can get it at Low Yat. Or can we? foongpc-->Wow! You have a Mac?